David Zeiler: But the arrival of the Winklevoss Bitcoin ETF – an exchange-traded fund developed by twins Cameron and Tyler Winklevoss – will change that. The Winklevoss Bitcoin ETF will make investing in Bitcoin as simple and straightforward as buying shares of any other exchange-traded fund. While there are two other Bitcoin funds – Bitcoin Investment Trust, by SecondMarket, and a hedge fund, Pantera Bitcoin Advisers LLC, by Pantera Capital – both are open to wealthy investors only. When the Winklevoss twins filed to register their Bitcoin ETF last year, they said the purpose was to make Bitcoin investing available to anyone with a brokerage account. The Winklevoss Bitcoin ETF would work in a similar way to commodity-based ETFs like those for gold and silver, with the Trust buying the bitcoins to back the ETF shares. The filing proposed that the Trust would purchase one bitcoin for every five shares of the ETF. Daily transactions would go through a regulated trading desk. 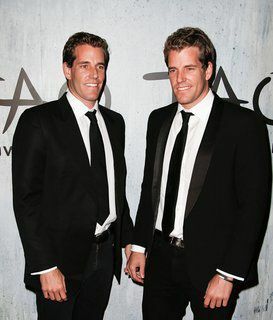 The Winklevoss twins say they have a proprietary method for storing the bitcoins to prevent thieves from hacking into their system and stealing them. Since being filed last July, the Winklevoss Bitcoin ETF, officially known as the Winklevoss Bitcoin Trust, has been under review by the U.S. Securities and Exchange Commission (SEC). But it keeps inching closer to approval. The Winklevoss Bitcoin Trust will allow a whole new group of buyers to invest in Bitcoin. And that will likely drive Bitcoin prices higher. Since the beginning of the year, Bitcoin has traded in a range between $900 and $1,000 on the Mt. Gox exchange and between $750 and $850 on Bitstamp. Many think that as more merchants agree to accept Bitcoin – a trend that already is accelerating – and more people start investing in Bitcoin, prices could skyrocket. In an appearance on CNBC last year, the Winklevoss twins said they believed Bitcoin prices could soar all the way to $40,000 per coin in the next couple of years – an increase of nearly 500% from the Bitstamp price of about $805 Wednesday afternoon. Of course, the Winklevoss Bitcoin ETF won’t be responsible for that kind of price action all by itself, although it is one piece of the puzzle. Barry Silbert, the chief executive officer of SecondMarket, sees a lot of major players making a push into Bitcoin this year. “We’re three to six months away from Wall Street dollars moving into Bitcoin in a big way,” Silbert told Entrepreneur magazine in December. Silbert had set a goal for his Bitcoin fund to raise $10 million by the end of the year; it raised $70 million. And when that happens, watch out. “Once Wall Street starts putting money into Bitcoin – we’re talking about hundreds of millions, billions of dollars moving in – it’s going to have a pretty dramatic effect on the price,” Silbert said. We’re in the midst of the greatest investing boom in almost 60 years. And rest assured – this boom is not about to end anytime soon. You see, the flattening of the world continues to spawn new markets worth trillions of dollars; new customers that measure in the billions; an insatiable global demand for basic resources that’s growing exponentially; and a technological revolution even in the most distant markets on the planet. And MoneyMorning is here to help investors profit handsomely on this seismic shift in the global economy. In fact, we believe this is where the only real fortunes will be made in the months and years to come.